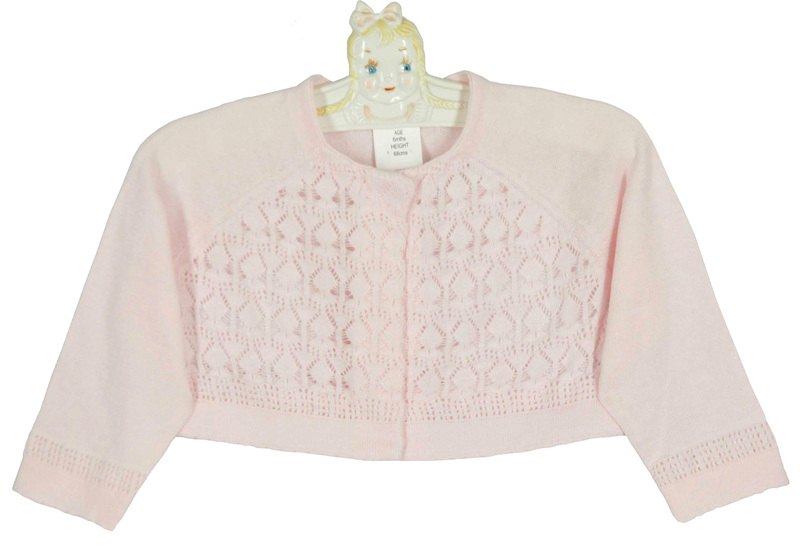 This lovely pink cardigan sweater is made by Sarah Louise, a leading British designer of beautifully detailed baby clothes for more than 20 years. Made of light weight softest cotton in bolero style, it features delicate openwork on the front and closes with a snap at the neckline. 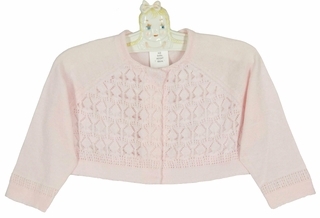 The perfect sweater for your baby girl's dressiest occasions! 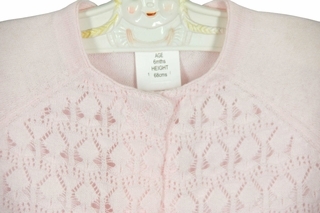 Note: This beautiful sweater is also available in white and ivory. See below.